Disney's "The Song and Story from The Haunted Mansion"
Greetings fellow ghouls and welcome to another Halloween post here at Mark Harvey's World. I've been blogging a little more than once a day since there's just so much to share this time of year. 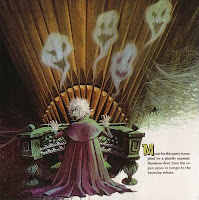 Disney's "The Song and Story from The Haunted Mansion" is probably one of my favorite records of all time. As a kid I had a copy, but my Mom - in an attempt to rid our house of all EVIL LPs - threw it out (my poor sisters lost A LOT of LPs...Led Zeppelin, Bad Company...and so many more). 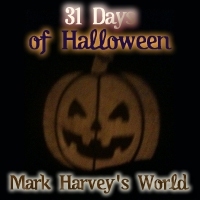 It was a phase in my life where celebrating Halloween was OK just as long as you had nothing evil or dark associated with it...uh...OK.. 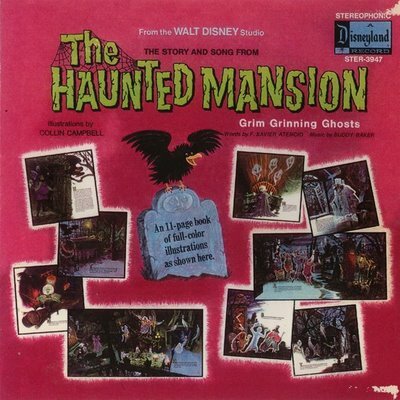 In my adult years I began searching the Internet to see if I could find a replacement copy of Disney's "The Song and Story from The Haunted Mansion". I found a guy named Jeff Baham who was running a little site about Disney's Haunted Mansion. That site has gotten HUGE (here). Jeff suggested eBay and so I surfed over there to see what eBay was all about. Talk about SCORE. 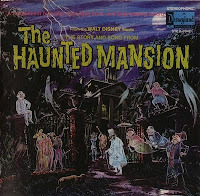 I now own several copies of Disney's Haunted Mansion LP and NO ONE is going to take them from me ever again! 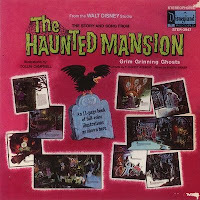 "The Story and Song from the Haunted Mansion" is an LP that featured a pre-Happy-Days Ron Howard. 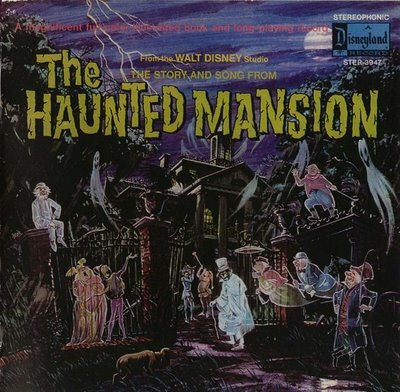 Recorded in 1969, "The Story and Song from the Haunted Mansion" featured the young Howard as "Mike," a teenager out on a date with "Karen" voiced by Robie Lester. Lester's "Storyteller" album for The Aristocats was nominated for a 1970 Grammy Award. One of her most famous roles was as "Miss Jessica", the schoolteacher who becomes Mrs. Kris Kringle (Santa Claus) in the 1970 Rankin-Bass TV special Santa Claus Is Comin' to Town (TV special). The story is narrated by Thurl Ravenscroft, one of Disney's best-known vocal talents. Ravenscroft is known for being the original voice of Tony the Tiger as well as the the singer of "You're a Mean One, Mr. Grinch," from Chuck Jones' classic cartoon How the Grinch Stole Christmas. The Disneyland ride's main scenes are represented which makes this an album well worth owning (if you have a turntable). The LP's Ghost Host is voiced by Pete Renoudet. This differs from the attraction's Ghost Host, voiced by Paul Frees. The album contains an 11-page book of illustrations by Disney Imagineer and artist Collin Campbell.